June Lockhart and Hugh Reilly take over the roles of Timmy's parents in the first episode of fifth season. According to Ace Collins' book about the series, the producers considered keeping Jon Shepodd, but were afraid that people would think that Paul Martin had divorced his wife (the very willingly departing Cloris Leachman). So both parts were recast. The characters were slightly tweaked as well: Shepodd's Paul was often a bit stern about Timmy facing the realities of life while Leachman's Ruth usually fought to indulge him a little. Reilly's Paul could be stern when he needed to be, but was often more lenient in indulging Timmy's boyish fancies, while Lockhart's Ruth could be positively stern, as evidenced in the sixth season episodes "The Whopper" and "Growing Pains." Fifth season, indeed, had the whiff of a new series: while Lassie (of course), Timmy, Uncle Petrie, and the farmhouse/farmyard/barn remained the same, there was the recasting of the parent roles, the farm gets spruced up a bit as the house is painted (it goes from a weathered white to what is revealed in "The Journey" as light grey), the barn also gets a painting (classic red, also as revealed in "The Journey"), and, somehow without hiring a builder, the door to the cellar (between the kitchen and Timmy's room) becomes a window between the back door and the window to Timmy's room (although inside the house, there is still the cellar door in place where the window is). Paul has a newer truck, and note that in the kitchen the china cabinet and the stove have swapped places. Replacing Kelly Junge Jr. as Timmy's friend was Todd Ferrell, playing "Boomer." Boomer, rather chubby, appeared to be an effort to imitate the Jeff and Porky friendship, but the character was never very popular and was dropped at the end of the season. In the years following, a semi-regular group of boys played Timmy's friends, including Richard Correll and Steven Talbot (both once regulars on Leave It to Beaver), Flip Mark, and Eddie Little. It was also during this season that the music that most people associate with Lassie began, including the famous "whistle" theme. Although the credits indicate that the music was done by "Sid Sidney," Jon Burlingame's book TV's Greatest Hits indicates that the composer was Les Baxter. Baxter's score was highly detailedeach situation had its own theme music, to the point where you could tell what action was happening on the screen by simply listening to the music. When MCI did their now infamous black and white 1-800-COLLECT Lassie commercial, it was the Les Baxter music they used. Timmy and Boomer try to teach Boomer's new dog Mike, an appealing but distant little terrier, farm ways, but he seems unable to learn anything, even to come when his name is called. 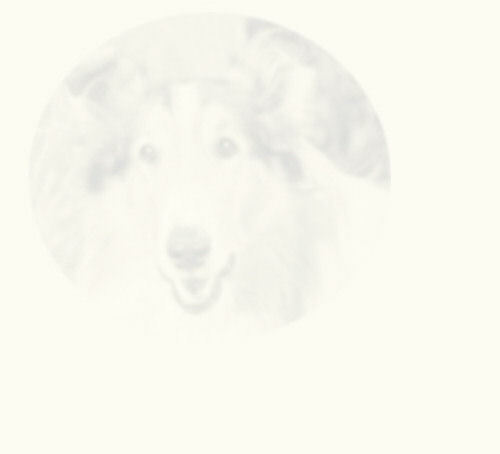 Then, during an approaching storm, Mike disappearsand so does Lassie. Doc Weaver: Arthur Space. Boomer: Todd Ferrell. Mr. Bates: George Cizar.  The Bates family has moved to the old Peters farm.  Note: Star never appears in another episode. Now, no one knows how he got to the Martin farm, but it's never addressed that Lassie flat-out stole Star from his owners! This is the first episode that features Robert Foulk as Sheriff Sam Miller. Actor Malcolm Atterbury made a career out of playing slightly cantankerous older authority figures. The role of Judge Baxter was later played by Nolan Leary. The Calverton schoolchildren adore their teacher Miss Hazlit, so when they find out she may have to leave because of budget constraints, Timmy, Boomer, and their pals Bill and Roy earn money to keep her on. But the money is lost on their way to speak to the school board. Sam Burke: Trevor Bardette. Miss Hazlit: Sally Bliss. Jim Teal: Ray Teal. Silas Huff: Jon Lormer. Boomer: Todd Ferrell.  Trivia: If the school board is looking for a teacher who will accept $2,400.00 per year and $5 per week or $200 would make up the difference of Miss Hazlit's salary, it must mean she earns $2,600.00. Two farmers named John and Tom are also on the school board. Apparently the kids once had a "mean" teacher named Mr. Platt as a substitute.  Note: Bill, Roy, the boy chopping wood, and John and Tom are uncredited. Picking potatoes for Jim Teal they all earned $1.35 (a quarter for each of them, including Lassie, and a dime for Mike). They earned fifty cents stacking wood (ten cents for each boy and ten cents for Lassie). Then they received $1.50 from Sam Burke (a quarter for each boy and fifty cents for Lassie). So they didn't quite make that five dollars. Timmy is so desperate to be useful that Ruth entrusts a fresh egg delivery for Mrs. Woodruff to him, but after Boomer makes him trip and fall against the basket, two eggs are broken. Timmy wants to solve this problem without adult help, so they visit a deserted barn and take two eggs from what they think is an old chicken's nest. Instead, it turns out they raided an aggressive barn owl's nest. Sarah Woodruff: Frances Morris. Curly: L.Q. Jones. Boomer: Todd Ferrell.  Note: Frances Morris previously played Doc Wilson's wife. L.Q. Jones will appear in later episodes (but not as the same character). Boomer mentions "Bill" (presumably the same "Bill" as in "The Teacher"). Mike doesn't appear in this episode. Spurred by Uncle Petrie's stories about "the good old days" when a man took care of everything himself, the boys are out searching for gold when Lassie discovers an injured pilot in a crashed plane. She helps Timmy and Boomer free the man and then goes for help while the boys set the man's leg, but falls into a pit before she can reach home. Meanwhile, the pilot shoots off a flare that starts a fire which the boys frantically try to put out. Mr. Matthews: Russell Johnson. Boomer: Todd Ferrell.  Note: The airplane is a Cessna 170 or 172. Mike doesn't appear in this episode. Lassie falls in love with a rocking chair she found in the haymow, which is destined for donation to a charity sale, and when it's sold to cranky Joe Bascom, she determines to do something to get it backeven if it means stealing it off his porch. Joe Bascom: Rusty Lane. Sheriff Miller: Robert Foulk.  Note: The auctioneer is uncredited. One wonders what the rocker's attraction is to Lassie; could it have belonged to Gramps? If so, it was evidently used early in the series because apparently Timmy doesn't remember it. Bascom's reason for giving the rocker back? "I had a dog once."  Note: So...Paul sets up the hose to run into Speckles' tin tub, and then a siphon hose to move the water out to set up a system so the trout can breathe. Where does the water from the siphon goall over the barn floor? Isn't that a hazard? So that they will scare girls into not kissing them at Martha Tyson's Halloween masquerade party, Timmy and Boomer hunt foxfire to smear on their faces, and become trapped in an abandoned house in the woods that is scheduled for demolition. Bulldozer Operator: Rand Brooks. Foreman: Harold Goodwin.  Trivia: The foxfire is located in a field near the Peterson farm.  Note: Rand Brooks previously played Corporal Randy Boone in the Rin Tin Tin series starring Lee Aaker. He played Scarlett O'Hara's first husband Charles Hamilton in Gone With the Wind. Ruth [sending the boys off]: "Timmy, now you be careful." Ruth: "Stay away from the poison ivy. There's a lot of it out there." Ruth: "Watch out for the nettles and brambles." Timmy: "I will." [pause] "I will." Ruth: "What was that about? I didn't say a word." Timmy [confidently]: "I know, Mom, but you'll think of something." Paul's expensive new sow "Our Gal" has an predeliction for running away, even through reinforced fencing, and on one of her journeys back to her old home at the Simmons farm she farrows and abandons her litter of piglets in the woods to be found by Lassie. When the babies are returned to her, the erratic young sow refuses to nurse. Herb Simmons: Jason Johnson. Boomer: Todd Ferrell.  Note: Jason Johnson previously played dog-hating, bigoted curmudgeon Jud Perkins in the Jeff episodes. The IMDb has his character's first name as "Herb," but it sounds like Paul is calling him "Erv." He is mentioned in a couple of other episodes (definitely as "Herb"), including being mentioned as Uncle Petrie's checker-playing partner. Mrs. Bridell, a widow, and her son Henry, from the city, have moved to Calverton, but when the boy screams when Lassie approaches him, Timmy and Boomer learn he is afraid of dogs. So Timmy hatches a plan to help his new friend, but it backfires when Henry mistakes Lassie's extra attention as love for him and believes she wants to stay with him. Mrs. Bridell: Judith Ames. Henry: Earl Robie. Boomer: Todd Ferrell.  Trivia: The Bridells have moved into the old Stoddard place. Henry is afraid of dogs because his mother is; there was once a mad dog in her hometown.  Note: Again, you never see the Bridells after this episode. The dog Henry picks out at the pound turns up in future roles, including Mr. Jensen's dog Ruff, Flip's dog Butch, and Spot (see "Stable Mates" below), but this is his first appearance. On a bird-identification expedition for his Junior Audobon Club, Timmy sees rare American egrets, but his group leader Mr. Binns wonders if he can be believed. But after a hunter shoots at and scares the egrets away from their nest, the Martins try to have Henrietta the goose incubate the last egg, while Lassie captures one of the birds' plumes as evidence. Boomer: Todd Ferrell. Mr. Binns: Harry Cheshire. Hunter: Dennis Moore.  Trivia: Egrets have not been seen in the state for twenty years.  Note: This was a timely episode in the "Silent Spring" era, when people began to realize how the overuse of the insecticide DDT had endangered wildlife. By careful shepherding, egrets were brought back from the brink of extinction. Late in the 19th century and early in the 20th, the birds were ceaselessly hunted to provide, as Ruth recalls, white plumes for the fashionable "picture hats" that women wore. Two callous young bow hunters wander the woods shooting animals, then leave them for dead, but Lassie's discovery of one of their arrows leads the Martins to a wounded bear cub which they try to save. Boomer: Todd Ferrell. Doc Weaver: Arthur Space. Archers: Ron Hagerthy and Harry Harvey Jr.
 Note: Keeping Lassie appearances "all in the family, Harry Harvey Sr appears in the episode "The Black Woods," below. Mike actually gets to do something heroic in this episode: keeps buzzards from attacking the bear cub. Boomer is jealous when Timmy seems to prefer the company of his English visitor, Robin, and his little Cairn terrier Basil, so he and a classmate make fun of Robin's short pants and school tie. But Robin wants to leave after he realizes the rift he's caused between Timmy and Boomer. Miss Hazlit: Sally Bliss. Willy Brewster: Linda Wrather. Bud: Chris Olsen. Robin: Billy Potton. Boomer: Todd Ferrell.  Trivia: Timmy tells Boomer that his father stayed with Robin's parents while stationed in England, and Paul later reminisces with Robin about it. Robin has stopped to visit the Martins while enroute to Toronto. Robin's grandmother has done the lovely embroidery on the gift he brings Ruth: handkerchiefs. Paul and Uncle Petrie get pipes (the only hint, I believe, that Hugh Reilly's Paul smokes one). Timmy's gift is Robin's school scarf. Bud's real name is Roy.  Note: Poor Robin gets some of the most stereotypical British dialog you've ever heard, but at least he fares better than Willy, who simply gets to make sheep's eyes at Robin and serve cookies while the boys learn to play cricket! Question: How did Robin get Basil back into England when he returned home? There was still, of course, the six-months quarantine law at the time, a fact which became useful when the Martins moved to Australia. Having seen sugar maples while taking Timmy on a nature hike, Uncle Petrie returns to the woods the next day to investigateand runs into two men holding bank president Robert Hanson hostage. Remembering that he told Timmy about Indian smoke signals while having lunch on their hike, he makes a desperate gamble while helping one of the criminals make a fire. Robert Hanson: Harry Harvey Sr. Men: William Henry and Keith Richards.  Trivia: The Martins' rescue of Mr. Hanson is reported in several newspapers, including the Calverton News and the Capitol City Spectator. The Spectator will be referenced again in "The Christmas Story."  Note: The kidnapper in the dark jacket is named "Joe," but I don't know which of the actors played the role. Tongues wag in the neighborhood after Lassie picks Ruth's ticket as a winner in a raffle for a pianobut the real loser is Timmy, who's forced to take lessons. It's Timmy who figures out what happened, though, after Lassie is able to pick out his piano teacher's card from a pile: it was in Ruth's purse and is scented with her favorite perfume! Mrs. Graff: Kathleen Freeman. Mrs. Castro: Dorothy Neuman. Mrs. Heffer: Jeanne Bates.  Note: Dorothy Neuman appeared to have made a career out of playing pinch-faced spinsters. One wonders why no one else figured out how this happened. One of the exercises in advanced obedience trials for dogs is a scent-distinguishing trial where the owner touches one of six barbells. The dog is supposed to pick out the correct barbell. The owner cannot wear any kind of scent. For Lassie, with Ruth's perfume on the card it was a cinch. Several days before Christmas, Lassie is struck by a truck while saving a three-year-old girl and so seriously injured she needs a special veterinarian to operate on her. Willy: Linda Wrather. Doc Weaver: Arthur Space. Al Bronson: Larry Blake. Mrs. Bailey: Anne Barton. Dr. Watkins: Addison Richards. Boomer: Todd Ferrell. Carols by the Les Baxter Choir.  Trivia: Al Bronson works for the Capitol City Spectator. Dr. Watkins lives in Lafayette. Paul and Petrie told Timmy the previous Christmas that he'd be big enough this Christmas "to carry the axe." Note that on Lassie's gift that Al Bronson brings back to Timmy, the boy's name is actually spelled "Timmie."  Note: This is the first in a series of classic Lassie Christmas episodes, this one featuring a delightful piece of dialog between Timmy and Boomer about all the delicious treats they'll get when they go out caroling on Christmas Eve, carols as lovely background music, and a Christmas miracle that includes a doctor who won't accept a fee! Yep, that's television! Of course, this is Boomer's first Christmas in Calverton, so the fact that Timmy and Boomer are reminiscing about last year (Mrs. Woodruff's mince pie, the Brewsters' crullersTimmy had two of them the previous Christmas Eve, Mrs. Brown's candied apples (for Christmas? I thought those were for Halloween), and "gingerbread Santy Clauses," as Boomer says, at the Simmons house) is a bit odd! Timmy and Boomer want to be partners in some type of business, and, learning Paul is planning to spend $10 on ladybugs to help fight aphids in his apple orchard, are determined to find the cache of them Lassie discovered earlier. But the collie wants nothing to do with the itchy pests that hurt her ears so much, and the first batch of ladybugs the boys find is on disputed property. John Garrett: John Maxwell. Boomer: Todd Ferrell.  Note: This episode must have fueled the rumors that Lassie took place in California, since Paul and Uncle Petrie are shown reading the magazine "California Farmer." The Army is conducting war games near the farm at Round Mountain, and excited Timmy, Boomer, and their friends, kitted out in their dads' old military gear, plan their own maneuvers in what is a safe area. But it's no game next day when scout "Private Timmy" and his "war dog" Lassie are ordered to investigate a live mine field just as the Army manuevers are about to begin! Boomer: Todd Ferrell. Staff Sergeant: Lloyd Nelson. Major General Hess: Sydney Smith. Colonel: Walter Coy. Mickey: Bart Bradley.  Note: This is the first of several appearances made by U.S. Army characters in the Timmy episodes. The three other boys are George (Army helmet and horizontal striped shirt who gets to be Lieutenant), Phil Barker (Navy cap), and Mickey playing general with the walkie-talkies his dad bought at the Army surplus store. Lloyd Nelson's character's name starts with "HAN," but you can't read the entire stripe. Bart Bradley later acted under his own name, Bart Braverman. Ruth, taking an old logging road as a shortcut on her way to a Grange supper and having to replace a flat tire, is caught in a trap set by a state hunter to catch a marauding cougar. Bob Minor: Harlan Warde.  Trivia: The Grange Hall is in Auburn, sixteen miles away (ten miles away by the old logging road). Paul, Timmy, and Petrie had left earlier in the truck to go pick up folding chairs.  Blooper: There is a continuity error in this episode. When a worried Lassie scratches at Timmy's window, it has four small panes of glass. Then she backs up and lies down, considering the window, which now has one solid pane of glass, then gets up and jumps through it. When you see Lassie jumping through the glass from the opposite angle, outside the house, it has four panes of glass again.  Extended Note: Lassie's supposedly "unbelievable" heroics fetching the "C" clamp needed to open the trap provide June Lockhart with an amusing story to tell in ABC's anniversary special Lassie Unleashed, but in reality she doesn't do anything more incredible than a dog competing in Utility competitions in obedience trials. Not only that, but Ruth's actions in this episode are admirable compared to an average woman character in a 1950s series: knowing she will be traveling along a potentially hazardous road with a cougar loose, she takes a firearm for protection. When she gets a flat tire she groans, but matter-of-factly prepares to change it. When caught in the trap, she shouts for help, then sensibly assesses the situation, tries a few ways to get free, then concentrates on keeping warm and alive. When Lassie shows up, she takes the risk and sends the dog for the "C" clamp. Although in pain, when Lassie shows up with the cheese slicer instead, she's very patient and tries again. Finally free, she doesn't panic when Lassie challenges the cougar; she goes to the car, gets the rifle, takes aim, and shoots the animal about to attack the family dog. She neither has hysterics nor acts stupid or fluttery, unlike the stereotypical idiot 1950s female television character. Bravo!  Note: Is this the tree planted by Johnny Appleseed found in the Jeff episode "The Apple Tree"?  Trivia: Uncle Petrie apparently has a little romance in his past; his fondness for apple trees stem from one he carved his and his sweetheart's initials in when he was young. Her first initial was "L."
When Lassie keeps coming home with greasy muck on her legs, Timmy and Boomer investigate, and discover a pool of oil on the Martin east forty. But Uncle Petrie's late-night investigation of the pool proves to be his undoing. Boomer: Todd Ferrell. George Flannery: Ray Montgomery.  Trivia: The oil refinery is at Whitfield. Asa Winkler, a conniving handyman, claims Lassie bit him and tore his pants to obtain odd jobs at the Martins, and even tries to talk Paul into having him clean the well by pretending he lost his watch. The Martins having no more chores, he then arranges a little "accident" at the Bates' farm after locking Lassie in the well house. Winkler: J. Pat O'Malley. Mr. Bates: George Cizar.  Note: O'Malley, the quintessential character actor, was not a new entry to the Lassie "family"in Lassie Come Home he plays Hynes, the incompetent kennelman. He appears in the series once again in "The Ostrich," but in a nicer role. I believe this is the only other episode where you see Boomer's father; you never meet Boomer's mother. A dog fancier says Lassie may be of the bloodline of the lost Tartan Queen and urges Timmy not to let her run wild and keep her groomed while he does further research, so the depressed collie must sit on the sidelines while Boomer's terrier Mike has all the fun. Then Mike vanishes after stealing Lassie's favorite bone; unknown to everyone, he's trapped under the floor in an old shed. Boomer: Todd Ferrell. Roger J. Carter: Philip Tonge.  Note: Philip Tonge played Mr. Shellhammer in the classic Christmas film Miracle on 34th Street, starring Maureen O'Hara, John Payne, Natalie Wood, and Edmund Gwenn as Kris Kringle. Timmy, disappointed that there are no contests in the county fair a small boy can participate in, enters his burro Lucky in a farm horse event. But will stubborn Lucky obey commands in the ring? Mr. Tumulty: Ralph Dumke.  Trivia: Paul enters his hybrid corn and Ruth her preserves (crabapple jelly, strawberry jam, and orange marmalade) in the various competitions and Uncle Petrie is in the whittling contest. Paul and Ruth both win prizes, but Uncle Petrie carves his thumb rather than wood!  Note: This is the last you see Lucky, who was in two episodes the previous season. Lucky was originally female, but is male in this story, at least as referred to by Timmy, who keeps saying "he." Uncle Petrie does refer to Lucky as "she." The little girl whose doves Lassie and Lucky rescue are uncredited. During a bad rainstorm, a half-drowned and lame cat attracts the sympathy of the entire family and Uncle Petrie is soon concocting remedies to cure his paw. But the conniving cat, dubbed "Mustard" by Timmy because of his color, isn't really injured, and immediately starts getting Lassie into trouble, first taking credit for a rat she killed, and then by raiding the henhouse for eggs. Timmy finally realizes Mustard's deception, but no one else will believe him. Knowing Ruth hasn't had a new hat in four years, Paul buys her a lovely spring hat he discovers she had already tried on, but rejected as being too expensive, and hides it in the barn, but Timmy and Lassie inadvertently ruin it while playing. Can Ruth's creativity save the day? Shop Owner: Sheila Bromley.  Trivia: The Martins' dentist is Dr. William Carlson. The little shop is The Ladies' Finery. We can't see it in black and white, but the hat is pink.  Note: June Lockhart always joked about how Ruth and Paul rarely kissed on the series. But they share a kiss twice in this episode and the whole plot of Paul buying a hat Ruth admired (at Lassie's instigation) is rather romantic. With grand dreams of forming a sled dog team in their heads, Timmy and Boomer are heartbroken when they find out Lassie's puppies are to be sold, so Lassie hides them in an old pen in the woods. But in dealing with an obstreperous goose, the mischevious pups get free and wander into dangerous situations. Boomer: Todd Ferrell. Jerry Johnson: Charles Herbert. Edith Johnson: Mary Lawrence.  Note: Herbert and the puppy he adopts, Blacktail, also appear in a sequel, the seventh season opener. Charles Herbert was a popular child actor of the era, and appeared in movies such as The Boy and the Pirates. In an odd bit of coincidence, one of the people who wish to buy one of Lassie's puppies is a Mr. McCullough, who wishes "to make a real sheepdog of him." McCullough, of course, is also the name of the family in The New Lassie, who supposedly adopted Timmy after Paul and Ruth Martin moved to Australia. The entire family pitches in to help Timmy win in his Cub Scout troop's kite-flying contest, especially after the original kite is lost. Scoutmaster: Michael Garth.  Note: Here's another episode with some romantic "action" for Paul and Ruth: a very sweet scene where a particularly memorable blue silk dress is sacrificed for Timmy's new kite where Paul and Ruth are definitely remembering some romantic times! There's also a nice romantic scene between the pair in the previous season's "The Baby Sitter." Lassie, staying at a neighbor's house while the family as at the county fair, is blamed for the damage done by Chipper, a chimpanzee being nursed back to health by Mrs. Collins. Seth Collins: Frank Ferguson. Bertha Collins: Martha Wentworth. 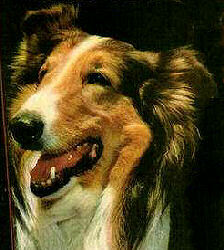  Note: Ferguson played Lassie's first vet, Dr. Peter Wilson, in the Jeff episodes. He was also Gus, the McLaughlin family foreman, in the series My Friend Flicka; Johnny Washbrook, who starred in that series, has a guest appearance later in the season. Oh, you will notice that the Collins living room/hallway is very obviously a redress of the Martin living room/hall, down to the fireplace, except for a door in the opposite wall! Lassie falls in love with Suzy, a canine hand puppet, after a thank-you performance by a down-on-his-luck ventriloquist whose wheezing, overheating car breaks down in the Martin barnyard and is fixed by Paul and Uncle Petrie, and is upset when Suzy seems to "die" and is shoved in a valise. She steals the case out of the back of Ventrilo's car and mourns her friend. Mr. Ventrilo: Ted Knight.  Trivia: Ventrilo's other two puppets are "Sir Cedric" (perhaps the male puppet you see behind Ventrilo in his dressing room?) and "Kippy," an unknown character.  Note: Ted Knight began his career as a ventriloquist. This is an episode that June Lockhart doesn't cut up about, but again a humorous one and a bit incongruous: this is Lassie who has trailed innumerable kids, animals, and adults through the woods and snowand she can't tell by scent that "Suzy" isn't a real dog? After they accidentally break his shed window with a rock propelled by a slingshot, Timmy and Boomer collect rocks as repayment for their neighbor Mr. Brody, and suspect he is a bank robber after he gives them sacks emblazoned "Capitol City National Bank" to store them in, and they find the slouch hat and red bandanna that a Capitol City bank robber wore in the bushes. But revealing this information to Brody's new farmhand proves dangerous. Boomer: Todd Ferrell. Case Ferguson: James Anderson. Mr. Brody: J. Anthony Hughes. Bud/(Freddie? ): Chris Olsen. • Blooper: When the boy runs up to Boomer and Timmy as the story opens, they say to him "Hi, Bud!" But later on Boomer says, "I wish we hadn't traded for that slingshot with Freddie."  Note: Chris Olsen (Bud or Freddie) is the brother of Susan Olsen, Cindy on The Brady Bunch. Gramps' old truck is reused as Mr. Brody's pickup truck, and a scene from several Jeff episodes with the truck driving over that oft-broken bridge is included in the story. Timmy and Boomer borrow Uncle Petrie's cat's-eye charm to have good luck in a leaf-gathering project for school, but Boomer loses it in the woods. Uncle Petrie immediately begins having bad luck! Boomer: Todd Ferrell.  Trivia: Uncle Petrie had a friend whose father served with Admiral Dewey in Manila. Timmy and Boomer, already arguing over a project to build a lean-to (Timmy wants to build with hammer and nails, Boomer Indian-fashion with rawhide ties), are further annoyed by the prescence of Boomer's visiting cousin, a know-it-all older girl who wanders away from the boys to explore a cave. Boomer: Todd Ferrell. Millicent Radcliffe: Reba Waters.  Note: Reba Waters also played Tina the gypsy girl in the Jeff episode "The Gypsies" and was a guest star on the series My Friend Flicka , which starred John[ny] Washbrook, who plays Chuck in "Campout." When Timmy brings home a little dog that Lassie's been feeding, the animal is temporarily adopted as Lassie's "pet" and named "Spot." But when the trio bring home a temperamental race horse named Monarch, Ruth is a bit perturbed. Mr. Kramer: Stuart Randall.  Note: The little dog who plays Spot turns up in at least two later episode, as "Butch," Flip's dog, and "Ruff," the pet of Mr. Jensen in "Lassie's Good Deed." Randall played several guest star roles on the series and became series semi-regular Al Livermore during the last season of Timmy episodes. Timmy's new camera, won in a vitamin-counting contest at the local drugstore, and an unpleasant neighbor who wants to hunt pheasant on the Martins' land figure in a story in which Uncle Petrie and Paul help Timmy find subjects for his photos. Amos Lovejoy: Daniel White. Sheriff Miller: Robert Foulk.  Trivia: Amos used to be a farmhand for Mr. Farrell, but wishes to lead hunting parties on the Martins' land.  Note: You can see a collie that is not Lassie Jr. playing the role in the kitchen scenes when Lassie is sitting in the background. During the show's original syndication run, this was one of two episodesthe other being sixth season's "The UNICEF Story"never released for telecast. The Wrather Corporation also produced the popular Lone Ranger TV series and Clayton Moore and Silver, who make a cameo appearance, were "spokesmen" for the Peace Patrol. Since this episode was withdrawn from the original syndication, I have included a longer than usual summary for it. 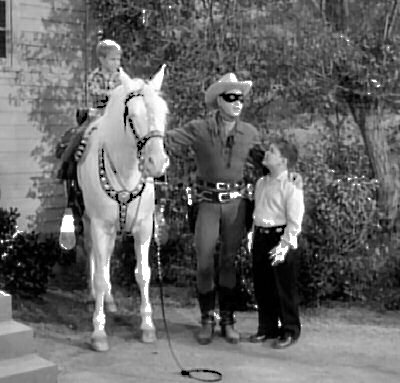 The episode opens with a film of Clayton Moore as the Lone Ranger touring Washington, DC. He is promoting "the Peace Patrol," an organization for children to join to support the United States by saving their money to buy U.S. Savings Stamps and thus Savings Bonds when they have filled their stamp album. Mr. Rayburn, from the school administrator's office, then distributes sales kits to the children voted to represent each schoolTimmy has been chosen captain representing the Calverton school. Mr. Rayburn sweetens the pot by telling the children that whichever school sells the most savings stamps will not only receive a plaque, but it will be presented by the Lone Ranger and Silver themselves! Timmy sells his first stamp to Boomer, who asks if he can help Timmy sell the stamps. Timmy agrees when Ruth reminds him that even the Lone Ranger has a lieutenant to assist himTonto. Later, Timmy mourns that he doesn't have more money to buy stamps to fill his own stamp album. Paul, Ruth, and Uncle Petrie, impressed by his resolve to save money to buy savings stamps, sneak into his room after he's asleep and add money to his cache. By Friday, everyone has joined the Peace Patrol but Frankie Jessup, who threatens to beat up anyone who asks him to join. Both Timmy and Boomer try without result and are angry until Ruth tells them to do what the Lone Ranger would do, find out why Frankie hates the club. They discover that the Jessups are in danger of losing their farm and Frankie can't afford to join the Peace Patrol. When Timmy finds out from Miss Hazlit that someone stole the box of money collected for the Peace Patrol, Boomer accuses Frankie of doing it to earn money. The boys rush to the school to see if they can find out what happened and find the window of the school broken and dried blood on the steps. Lassie trails the scent while the rest of the Martins stop at the Jessup farm, offering to help Mr. Jessup, but he tells them he is out looking for Frankie, who ran away when the sheriff came to question him about the missing Peace Patrol money. Lassie's trail ends at a deserted barn, where a vagrant who tried to get a job at the school earlier in the week is hiding with the missing box of money. The vagrant attacks Lassie with a knife and then a stick, and the Martins and Mr. Jessup arrive in time to capture him and save the box. Frankie then emerges from the woods to be reunited with his dad. The Calverton school evidently wins the prize, because at the end the Lone Ranger and Silver appear to present the award to Timmy and the school. Both Timmy and Boomer get to ride Silver and Lassie, now the second animal to be initiated into the Peace Patrol, gets to lead him. Frankie Jessup: Bobby Clark. Mr. Jessup: Ken Patterson. Vagrant: Buddy Lester. Mr. Rayburn: Oliver McGowan. Lone Ranger: Clayton Moore. And Silver. When the Martins offer to host the Sunday School carnival since the churchyard is being dug up for a new social hall, Timmy and Boomer decide to have their own boothand after planning to have a minnow toss, find out Phil is already doing the same thing. So they take Uncle Petrie's advice and have a fortunetelling concession. Boomer: Todd Ferrell. Willy: Linda Wrather. Pickpocket: Ken Terrell. Phil: Ricky Kelman.  Note: While "Lassie Jr" plays Lassie in most of the episode, there is a scene with Timmy on the phone where another collie is playing the role. You can also see this other dog in a kitchen scene. See the sixth season page to find out the story behind that. An older boy named Chuck, on the run from an uncle who didn't believe his story of a marauding bear, encourages Timmy and Boomer to camp out, so they try "roughing it" for the first timein the barn. But Chuck seeks refuge there as well. Boomer: Todd Ferrell. Chuck: John Washbrook.  Trivia: Chuck's uncle's last name is Nelson.  Note: Washbrook played "Ken McLaughlin" on the series My Friend Flicka. An oddityBoomer says "if Mike was here," but we never find out why he isn't with his young master. Uncle Petrie is stated to be "in Creston" in this episode. Oh, notice a cute piece of business when Ruth is setting the table: she knocks over the salt cellar and then rights it, casually picking up a few grains and tossing them over her left shoulder. One would love to know if it was scripted or she just tossed it in! Boomer leaves Mike in Timmy's care when he goes to visit his aunt and unclebut Mike's favorite ball may be his undoing. Boomer: Todd Ferrell. Al: Hal Taggart.  Trivia: The license plate number of Martins' car is 2A3243. Al is the owner of the town garage. There is a Rayburn's Hardware Store in town. Boomer's aunt and uncle live in Westover, and they own four cats.  Note: In the opening scene where Timmy is blowing bubbles, "Spook" is again playing Lassie. Again, check sixth season page. Uncle Petrie does not appear in this episode.